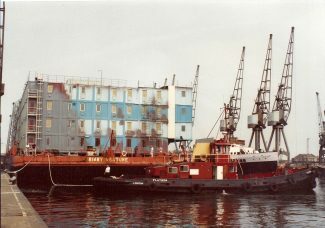 The BIBBY VENTURE is seen here returning from the FALKLAND ISLES . She was used as accommodation for the British Army. The speculation was that she was to be used as a prison ship in the West Country. 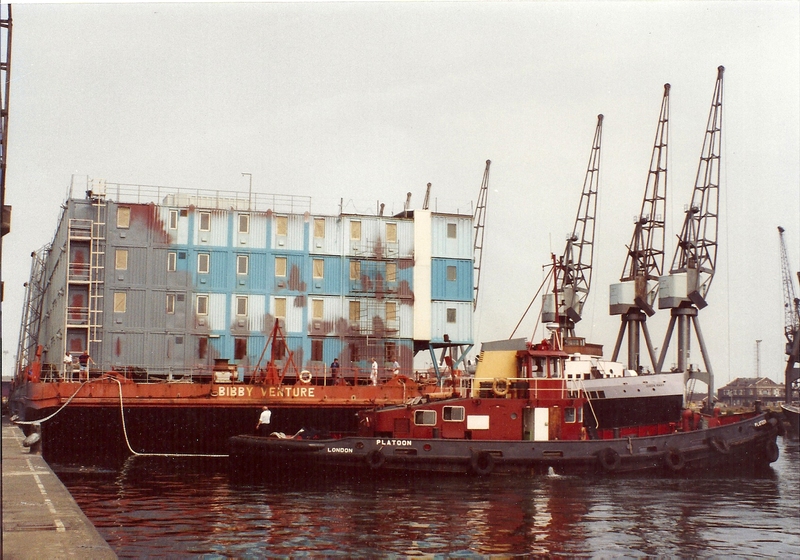 She consisted of containers linked together. Some for sleeping some for toilets and showers and others for canteens and cooking equipment. 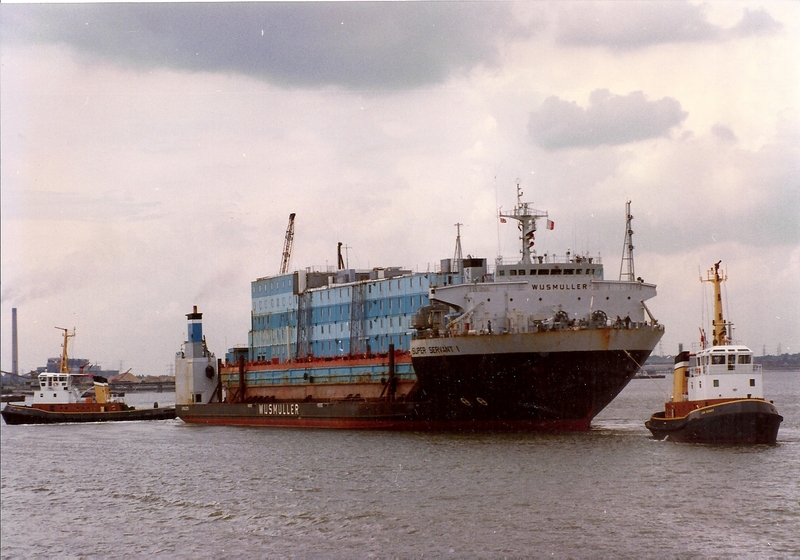 On the stern she had containers with diesel generators installed. They had been contaminated with salt water and had to be removed by my company for overhaul. Later became HMP Weare and in place at Portland Harbour from 1997 till 2006. Sold in 2009 to become an accommodation barge in Nigeria.